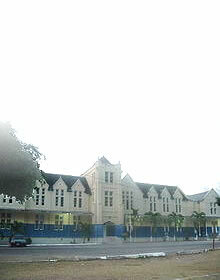 The Port Maria Court House is located opposite the Claude Stuart Park and the Port Maria Parish Church. Originally built in 1821, this fine example of Georgian architecture housed the court house and police station until it was gutted by fire in 1988. 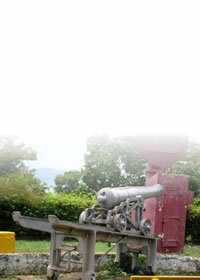 It was subsequently rebuilt and reopened as the Port Maria Civic Centre in 2000. 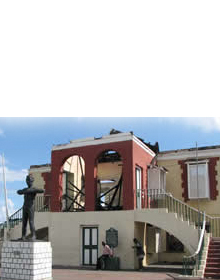 In the restoration of the building the Urban Development Corporation and the Jamaica National Heritage Trust ensured that structure remained true to the original Georgian style. 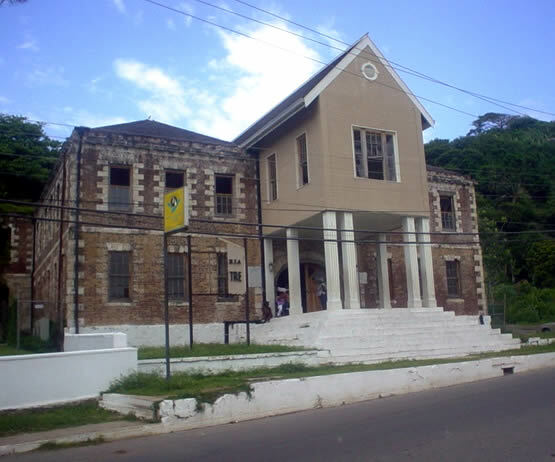 Prior to the erection of the court house complex, Port Maria had no public building; public offices were in private houses and the parish had to pay considerable rent. In 1816 some lands at Trinity in the parish were left by Thomas Manning in his will to the poor in the parish of St. Mary to be used as the Vestry might deem fit. Later in that year the Justices and Vestrymen were empowered by Act to exchange that part of Trinity, 90 acres for Nibbs Penn, a property of 54 acres in Port Maria. On the latter, the Municipal buildings were erected. The imposing nineteenth century court house has had several cases involving some of the country’s best known politicians tried there. The most famous was that for manslaughter against Alexander Bustamante (now National hero) in 1942. He had just been released from detention at Up Park Camp and was almost immediately charged for the offence. His popularity with the working class was still at its height after his contribution to the 1938 labour struggles. His trial therefore generated much interest especially when his famous cousin and political rival, Norman Manley (now National Hero), decided to enter the trial as the other defence lawyers were seemingly making little progress. The trial lasted for several days and at the end the not guilty verdict was greeted with great delight.